Harry Kane and Mauricio Pochettino have both declared that Tottenham want to play the best teams the Champions League has to offer. Spurs go into the last 16 draw in Nyon, Switzerland, on Monday at 11am BST having topped their group with 16 points, the most amassed by any side in this season’s group stage. They finished above Real Madrid and Borussia Dortmund to be seeded for the draw at UEFA’s headquarters. But there are still some potentially difficult ties for Tottenham, who collected their first Premier League win in five games with an emphatic 5-1 victory over Stoke on Saturday. 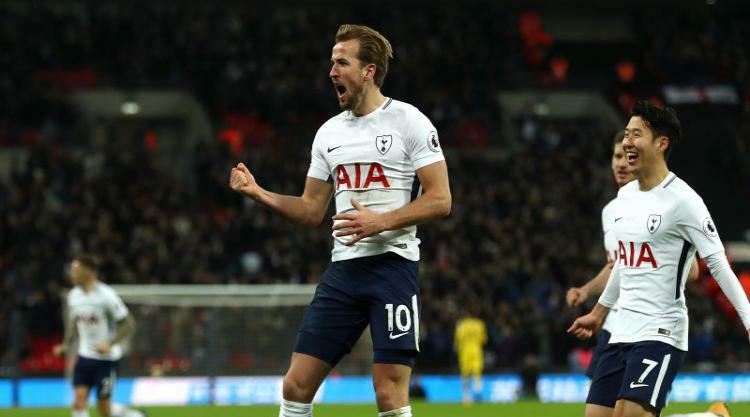 Bayern Munich, Juventus, Sevilla, Porto, Basel and Shakhtar Donetsk are the teams who can be drawn with Spurs and Kane, whose brace against Stoke takes him on to 50 goals for the calendar year, wants to beat the best. “When we have been in the group we have been in with Real Madrid and Dortmund and we have done as well as we have, I know people say it a lot that we don’t fear anyone, but to go far in the Champions League you are going to have to play the best teams in Europe so we will see who we get,” he said. “It will be exciting and then we will go from there and see how far we can go in the competition. Pochettino, too, has stressed that playing against one of the bigger opponents will be seen by everyone at Tottenham as an opportunity to impress and improve. “I’m so brave and like to play against the big teams,” he said. “I love to play against Real Madrid, the big teams, of course. I love the challenge and to challenge the best as I’m a winner. “I prefer to play against a big team. It’s a big test for us to play against big teams. "It's fantastic to finish in this way and build our momentum and our confidence again." “You can see the game against Real Madrid I prefer to play against a team that will motivate everyone rather than a team all people say you will beat easily, then it gets complicated. Tottenham are joined in the draw by fellow Premier League sides Manchester City, Manchester United, Chelsea and Liverpool as England becomes the first nation to have five sides in the last 16 of the Champions League. Paris St Germain, Roma, Barcelona, Besiktas, and holders Real Madrid make up the rest of the teams in the first knockout round.